Have you made Carrot 'N' Raisin Cheescake? 1. Combine crumbs, granulated sugar, cinnamon and margarine, press onto bottom of 9-inch springform pan. 2. Bake at 325 degrees F, 10 minutes. Combine 20 ozs cream cheese, granulated sugar and 1/4 c flour, mixing at medium speed on electric mixer until well blended. 3. Blend in eggsand juice. Add combined remainig flour, carrots, raisins, and spices; mix well. 4. Pour over crust. Bake at 450 degrees F, 10 minutes. 5. Reduce oven temperature to 250 degrees F, continue baking for 55 minutes more. 6. Loosen cake from rim of pan; cool before removing rim of pan. 7. Chill. Combine remaining cream cheese and juice, mixing until well blended. 8. Gradually add powdered sugar, mixing until well blended. 9. Spread over top of cheesecake. 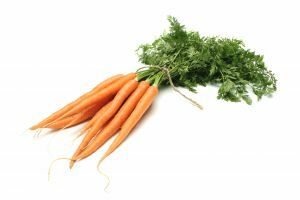 Garnish with additional raisins and finely shredded carrots, if desired. This recipe contains potential food allergens and will effect people with Wheat, Egg, Gluten, Cheese, Natural Sweeteners, Fructose Malabsorption, Oranges allergies.